Penned by our research lead Natalie Novick, the report – baptised ‘Seed The Future – A deep dive into European early-stage tech startup activity’ features vetted data from a wide range of sources, insights from our combined team, case studies and additional voices from across the European tech industry. > Get your free edition of our shiny new ‘Seed The Future’ report now! 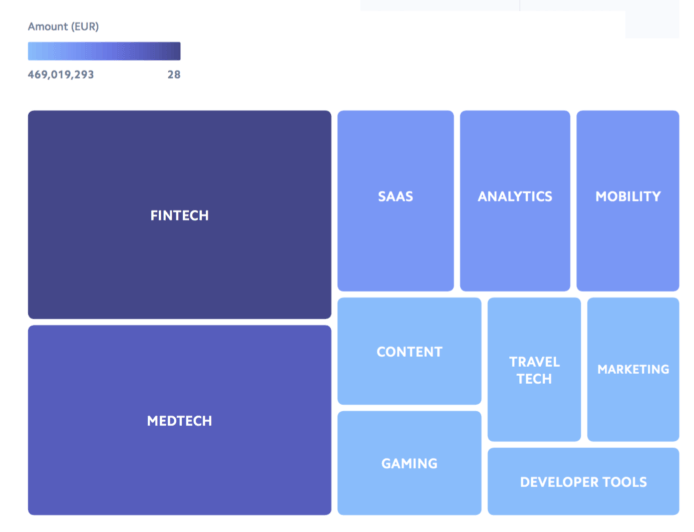 To top things off, this is only the first of a three-part series of reports on European tech we are partnering on, with a future focus on scale-ups and growth/late-stage financing. Looking at the period 2015 until Q2 of 2018, investment in early-stage technology companies across Europe has increased four-fold, from roughly €875 million invested in the first six months of 2015 to more than €3.6 billion in H1 of 2018. 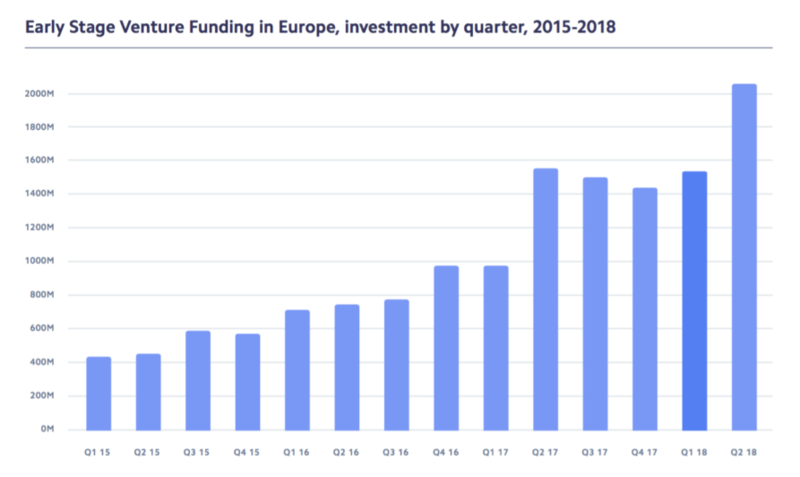 Total funding in European early-stage tech startups jumped by 36% from 2016 to 2017 (from €14.3 billion to €19 billion), with all signs pointing to another major increase for this year. The data also shows that ‘Fintech’ and ‘Medtech’ have been the most popular industries for investors, generating over €4 billion in early-stage funding in the past three years, far outstripping other sectors. 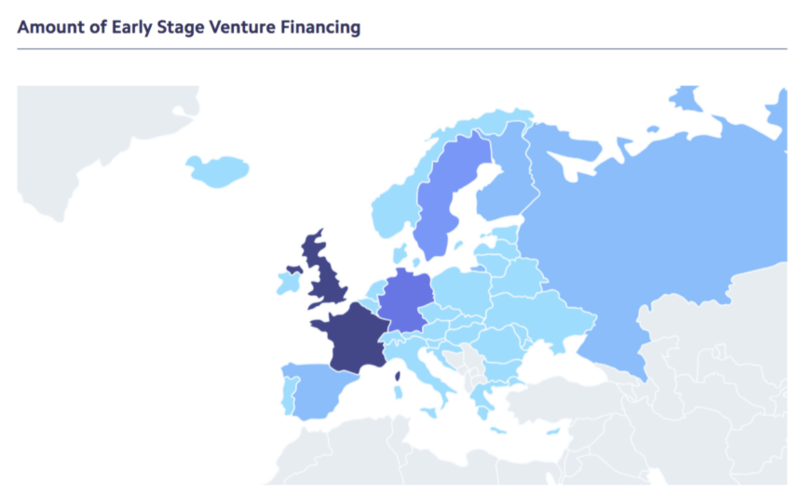 Also worth noting: while the UK continues to lead on overall and growth-stage funding, the most remarkable growth in the early-stage bucket was seen in France, where financing is well on its way to surpass the UK this year. But perhaps more importantly, the new report shows that we hit something of a sweet spot when we started tracking the evolution of European tech now five years ago. Back then, Europe was on the verge of exploding with technology startup activity, and the data shows that the momentum has only increased since then, evolving Europe’s startup ecosystems into maturity in key hubs like London, Paris, Berlin and Stockholm, but also into a healthy breeding ground for a new generation of ambitious entrepreneurs in regions across the continent. > See for yourself and download the ‘Seed The Future’ report now! “In many ways, conditions for the development of early stage technology companies in Europe have never been better. Across the continent we find larger early stage investments, greater attention from international investors, as well as companies successfully bootstrapping themselves, earning revenue and becoming viable businesses. Companies are also raising funding through additional means such as micro-investment, crowdfunding and emerging sources such as ICOs and tokens. Government support and public policy have sought to fill in the gaps to cultivate more fertile conditions for new companies, and community activities dedicated to entrepreneurship have flourished across the continent. As conditions for early stage technology companies become more supportive than ever before, they also are at their most competitive. While greater competition between companies has the chance to build better products and o er more choice for consumers, more founders will feel the sting of failure. We have all worked hard to make this report as comprehensive and useful as possible. Please refer to the section at the end of the report for further information on its methodology and disclaimers. For any questions or comments, we invite you to email us at reports@tech.eu.